Having used our Movi Pro on a range of projects in the corporate world we decided that it was time to put the gimbal to the test and see what it was made of on a more action-led project. 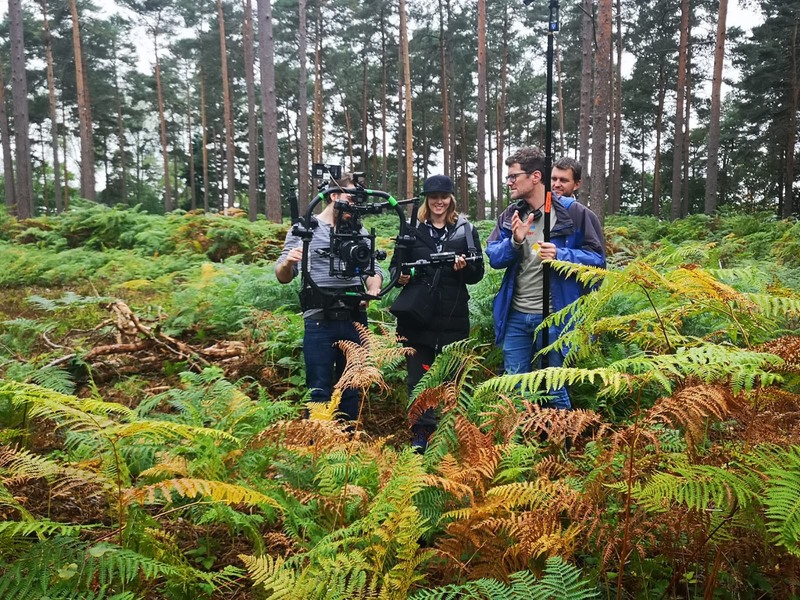 Working with the talented stunt co-ordinator Ronin Traynor, we arranged a day of sword fighting to take place in Englefield Woods in early September. 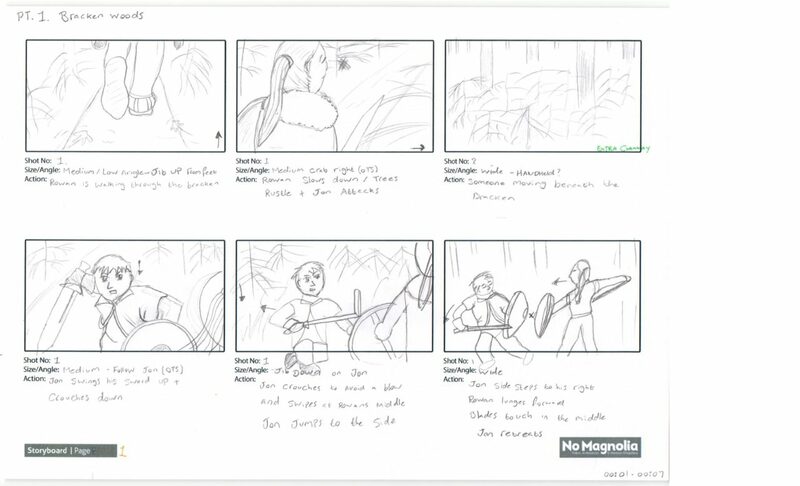 Taking the lead on the project, Sherice managed the logistics of the shoot as well as coming up with a storyboard dedicated to visualising the action. 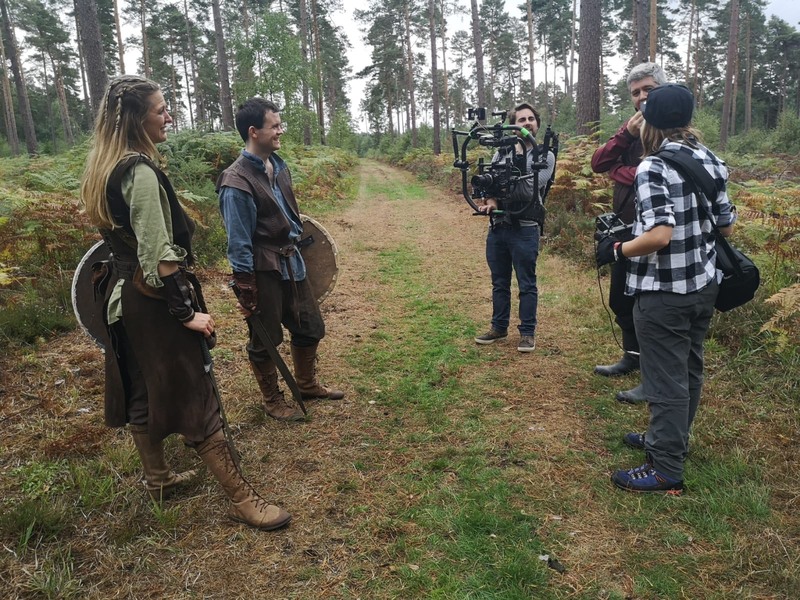 Ronin and his two stunt performers (Jonathan and Rowan) arrived on set for the shoot in full warrior attire, and blocked out the scene in the forest. Working closely with Ronin we discussed the best angles and logistics for achieving the shots we wanted to capture. The Movi Pro and Ready Rig combo was a great asset in capture the action. It gave us extreme flexibility in our movement which meant our Cinematographer Neil was able to run alongside the actors and add a dynamic movement to every shot. Editing the scene was quite a challenge as there were a lot of areas to consider. As our actors were not actually trying to hurt each other in the sword fight we had to ensure the angles we used would disguise the hits and make them appear as though they really connected. The authenticity of the sword action relies on the camera being in the right place at the right time to make distances look smaller and the action feel faster. The key to a fast paced scene like this is having well-rehearsed actors and knowing which angles will give the most believable shot. After we were happy with the edit we had to re-create most of the sword sounds with foley effects and build up an ‘atmosphere’ for our fighters. This not only involved sword clangs and whooshes but also things like footsteps and breathing. 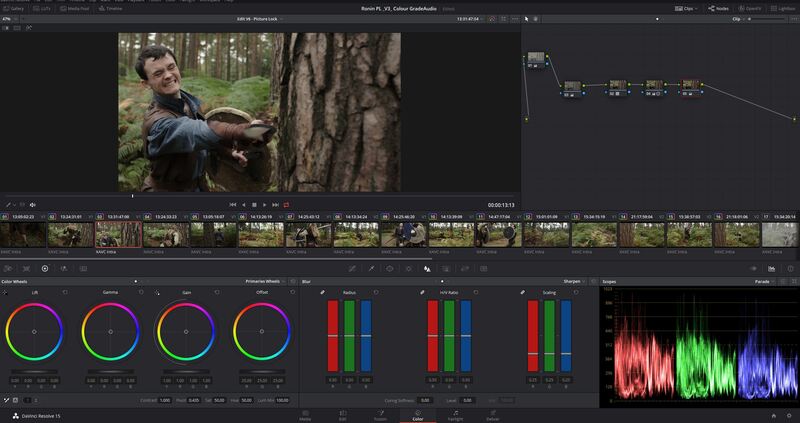 For the colour grade in DaVinci Resolve, we kept things quite neutral, and stuck to an orange/brown palette to enhance the autumn colours of the forest.